There is a great deal of anticipation that accompanies the summer movie season. 2012 is no exception. This year we get more Batman from Director Christopher Nolan, a possibly premature reboot of the Spider-Man series (that hopefully surpasses that of the Raimi’s work), and another title to the long list of Pixar successes, just to name a few. The studios have come out swinging and we don’t even officially hit summer for a few more days. 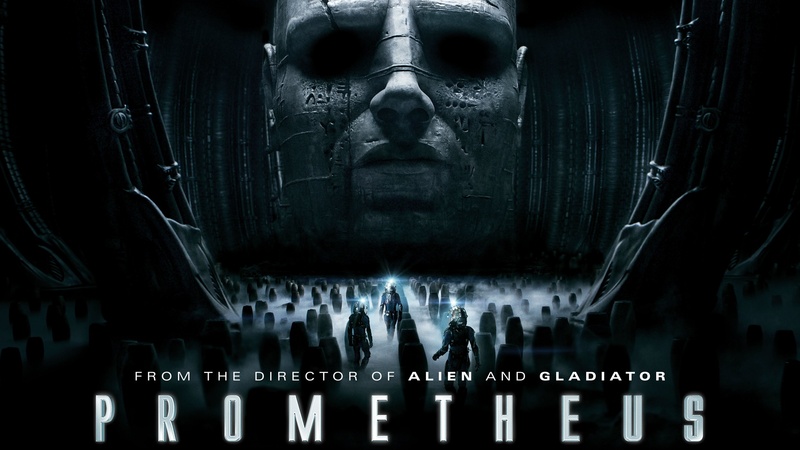 For fans of the “Alien” series, “Prometheus” is a long-awaited dose of epic, gory Sci-Fi. The project was started by Directors Ridley Scott and James Cameron about a decade ago, but was then put on the back burner. Scott picked up the project once more in 2009, and three years later, we have what is serving as a prequel to the world that Scott launched in 1979. The plot of “Prometheus” is fueled by the curiosity of archeologists Elizabeth Shaw and Charlie Holloway, who discover a star map that they interpret as an invitation to a distant moon to study the area for forms of life. This review is in no way meant to be a spoiler for the film, so I will keep my comments concerning the plot, brief. The bottom line here is that Shaw and Holloway have no idea what they are up against when they pursue their studies on moon LV-223. One of the more controversial aspects that will be talked about is the idea of creation, where and how that takes place, and the consequences of such actions. The film is beautifully shot. Cinematographer Darius Wolski brings his A-Game. He is most know for his work in the Pirates of the Caribbean films, “Sweeny Todd”, and “Alice in Wonderland”. There is no frame in this film that goes to waste. The sheer beauty that comes from simply looking at the film is sometimes overpowering to the story that is being told, but nonetheless, the tale of scientific discovery that is laid out is more than enough to wet the willing appetite. The music of Mark Streitenfeld works in good companionship with the rest of the film. Some chords carry a haunting vibration, especially in the end of the film. There are mixed reviews from some fans of the “Alien” series, as to whether this is a suitable prequel to the story started over 40 years ago. In my opinion, “Prometheus” stands the test. I felt like the conclusion of the story we are given, ties in nicely with what we get starting with the first film. A story this deep is bound to have a few holes here and there, but the archeological research that propels the story forward, and the ensuing results that come from the journey to LV-223 gave me as a big fan of the series, enough to chew on. Although this is a prequel to the series, I would advise someone interested in seeing the film to enjoy the previous entries in the series, a watch beforehand. There are certain elements that can be expected from someone who has seen the previous films, include a heavy dose of gore. As ironic as it may seem, having seen the previous films, the prequel to the series seems a little bit richer. I may be getting greedy, but it is my hope that Mr. Scott takes us a little deeper into the world he has shown us, but for now, I am more than satisfied.